Selling Status Platinum Level Access Opening This Fall with First choice of suites, floors, views & Day 1 Prices. Daniels Artworks Tower Condos is a new condo development by The Daniels Corporation currently in pre-construction at Regent Park, Downtown Toronto. 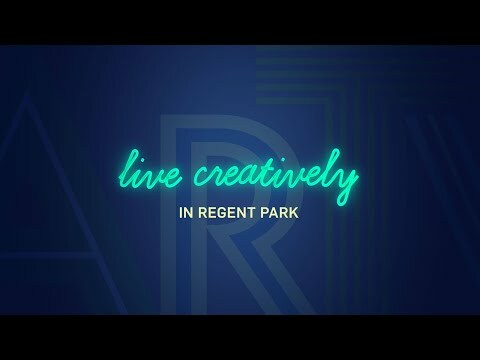 Daniels Artworks Condominiums has a total of 437-units in a 33-storey tower in Toronto’s Regent Park neighbourhood. Coming to the south-east corner of Dundas Street East and River Street, Daniels Artworks Condos Tower will rise 33 storeys above this world-renowned, lively neighbourhood. Artworks Condos Tower features modern, one to three bedroom suite designs, a spectacular, gallery-like lobby, inventive amenities, and stunning finishes. Everything about Artworks will stimulate your senses and challenge your expectations. Daniels Artworks Tower Condos is located in downtown East of Toronto, all amenities – universities, theatres, shopping centres, markets, clubs, schools – are all simply minutes away. Supermarkets such as FreshCo Regent Park, Cosimo’s No Frills and Kabul Farms Supermarket are just minutes walk far, making shopping for daily needs convenient. Restaurants and cafes, including Starbucks, Tim Hortons, Paintbox Bistro, House on Parliament, Absolute Bakery & Cafe and many more are a just short walk away too. Being minutes from Riverdale Farm, you have large green spaces nearby. Other parks such as Craigleigh Gardens and Park Drive Reservation Lands are also minutes far from Daniels Artworks Condos. Being close to highways, the waterfront, parks and all amenities of Downtown, the location of Daniels Artworks Condos offers a family lifestyle where both nature and facilities are within easy reach of the residents. Living in the exciting Daniels Artworks Tower Condos neighbourhood keeps you close to all amenities– innumerable restaurants, markets, stores, theatres, schools and universities. Close to both Don Valley Pkwy and Gardiner Expy, and well connected by LRT, travelling around downtown and other areas is most convenient. Minutes from the condos are the St. Lawrence Market, Eaton Centre, Ryerson University and more places of entertainment, education, shopping and eating. Riverdale Park is merely walking distance far where there are winter sledding and skating, swimming, baseball facilities and a playground. The public swimming pool at Regent Park Aquatic Centre is also an excellent place for kids and adults alike for fun sports activities. With all the amenities of Downtown at your doorstep, Daniels Artworks Condos is an exciting investment opportunity. Want First Access to ArtWorks? Sign Up Below.